There are many chocolate festivals and events around the world that are merely comprised of chocolate tastings and demonstrations. At the Chocolate Festival at Jade Mountain you get to visit the plantation where the cacao is grown, learn about the harvest, fermenting, and drying of the cocoa beans, and then eat the chocolate made from those beans — in addition to tastings, demonstrations, and a decadent menu sprinkled with delicious creations made using the cocoa and other fresh ingredients grown right on the resort’s own Emerald Estate plantation. 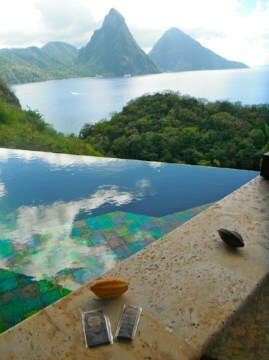 The chocolate at Jade Mountain is as delicious as the view is enticing. Being immersed in the world of chocolate on one of the world’s most beautiful islands at one of the world’s most outstanding luxury travel resorts … What could be better? 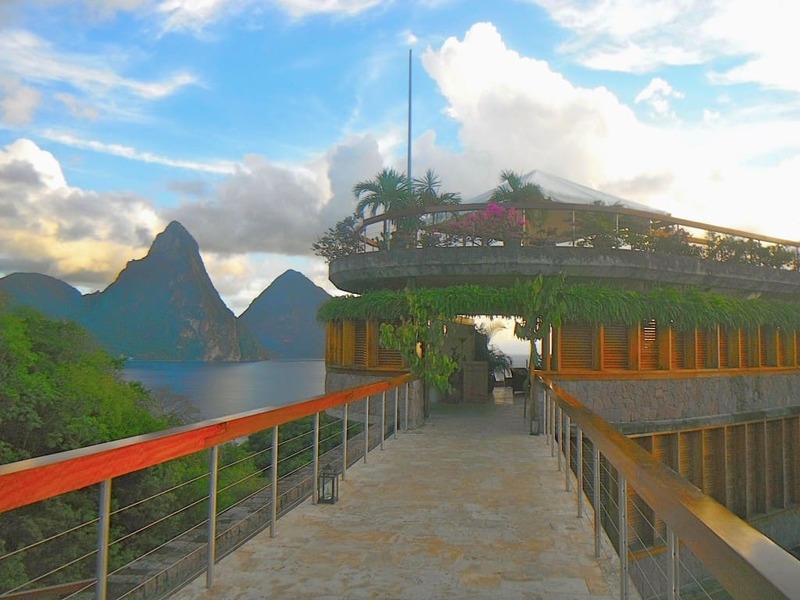 I’d been invited to the Chocolate Festival at Jade Mountain in 2012 and after months of anticipation, was thrilled to have the opportunity to visit the mesmerizing island of St. Lucia. 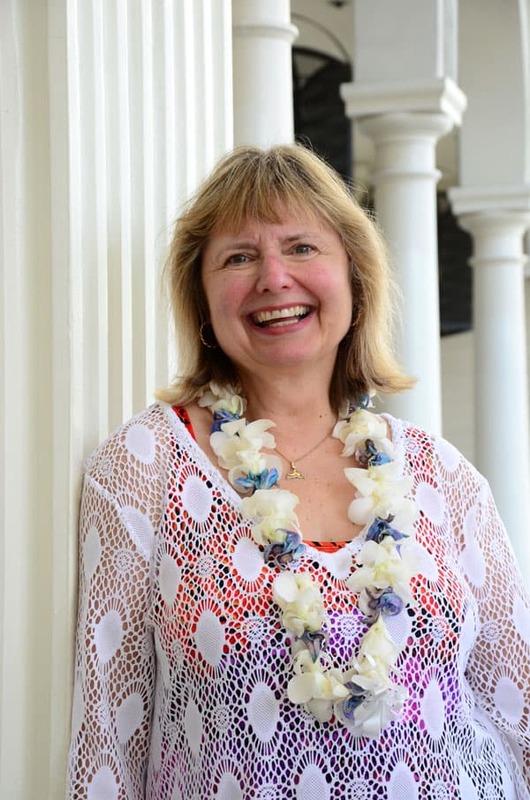 Staying at a multi-award winning resort, experiencing the culinary creations of award-winning Consulting Chef Allen Susser and Executive Chef Jonathan Dearden, and eating sumptuous chocolate locally grown and handcrafted made this a very special visit for me. I finally experienced the Jade Mountain Chocolate Festival and it did not disappoint. The previous post introduced you to Jade Mountain as a sensory place to stay. This post will introduce you to Jade Mountain as a place to celebrate chocolate, for afterall, the purpose of this blog is to encourage you to experience the world with chocolate travel in mind. 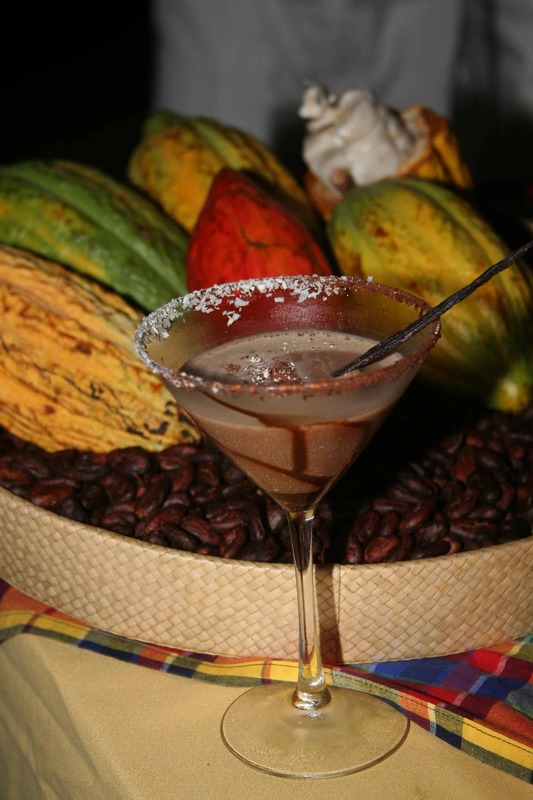 The Choco-tinis at Jade Mountain are a delicious variation of the Chocolate Martini. The Chocolate Festival at Jade Mountain kicked off with a cocktail party celebrating the dreamy choco-tini, a delicious vodka martini made with Bailey’s Irish Cream liquer and Emerald Estate liquid chocolate. The next morning we toured the plantation owned by Nick Troubetzkoy architect/resort owner/aspiring chocolate mogul, where the cacao (primarily the Trinitario varietal) and 32,000 pounds of tropical produce are grown annually. And we learned how to make the hot cocoa tea, St. Lucia’s blend of freshly roasted cocoa, ginger, lime zest, cinnamon, bay leaf, milk, and water. You’ll find cocoa tea served all over St. Lucia. Some places use nutmeg and vanilla in their recipes. A touch of citrus (Jade Mountain uses Star Anise) and cardamom can be added to make an iced chocolate chai tea — my preference to the hot cocoa tea. Chef Allen Susser shows how to make his delicious chocolate rum mousse. 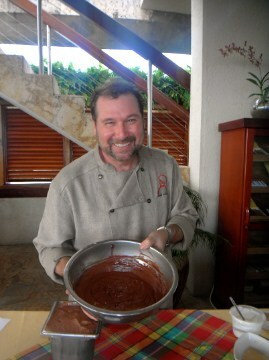 We also learned how to make chocolate delicacies such as Bittersweet Chocolate Rum Mousse, and Chef Allen’s own recipe for chocolate truffles. And we enjoyed the “Chocolate Delight,” the spa treatment at the Jade Mountain spa during which we were wrapped in warm and cool layers of melted chocolate and fed estate-made chocolates to take the experience over the top! This delicious selection of chocolate desserts highlighted an incredible dinner at Jade Mountain’s exquisite dining room. The menu in the exclusive dining room at Jade Mountain, the Jade Club, features a number of entrees with bold or subtle cocoa flavourings. The choice is yours. And delicious chocolate desserts. And if you want to bring the flavour and aroma of Emerald Estate Chocolate home with you, can you can purchase the highly aromatic small batch organic chocolate bars as well as the cocoa sticks (used to make the cocoa tea) in the gift shops at both Anse Chastanet and at Jade Mountain. Somehow I forgot to take a photo at the Jade Mountain Spa, but I think this photo gives you an idea of the incredible setting and architecture of this resort. Have you been to a chocolate festival that blew your mind? If so, please share the details with us here! Yay, Cheryl! Thanks for being the first to comment on the post and for being a fellow chocolate lover. 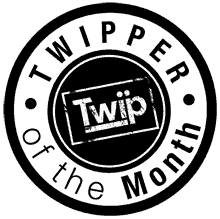 Your support of this blog is most appreciated. Sounds divine! I look forward to reading more posts and, especially, your book. Thanks, Suzanne. Thanks for pointing me back to the book. I’m having so much fun with the blogs that I get distracted from the task at hand: to finish the 1st edition of Chocolatour in time for a spring launch. Stay tuned! The image I get from this article is of being basted with cocoa butter & lowered into a vat of 104F. dark chocolate! Oh, yum!! It’s great you have been exposed to the growing, processing and tasting s in several different and glorious areas. I look forward to reading about some of the differences between growers and producers in various parts of the world. It’s lovely that your hard work is occasionally rewarded by such luxury. Yes, there is indeed quite a difference in the way cacao is grown and handled in various parts of the world. 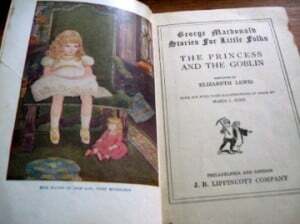 I won’t get into it on the blog, but will be covering that in the book. Stay tuned! Your encouragement, and the encouragement of others helps me move forward. It really is difficult for a social being like me to work in isolation writing the book. It is the joy and interaction of the blogs that gets me through. Happy New Year! Happy New Year, Doreen! Seems like you’re really enjoying St. Lucia. Thanks for your comment, Salika, and Happy New Year! Yes, I was thoroughly impressed with St. Lucia. We stayed at 3 different resorts during our visit and scouted out another. All lovely, as are the people of this beautiful island. Stay tuned for more … next post! My goodness, what a rough job you have Doreen! It all sounds heavenly. What a beautiful place, and interesting how much the cocoa plantations must effect local life – cocoa tea sounds like a real pick me up. Hope you had fun. All in the interest of the reader, my dear A.K. It’s truly been my pleasure scouring the world in search of the best chocolate and chocolate experiences as research for my book. But it has been at great personal sacrifice. The savings have been significantly depleted over the past 3 years. But I do admit … I’m having the time of my life! Thx so much for your comment and your support of this blog. Cheers, and all the best for 2013. I am anxious for your book to come out so I can read more about the different farms. Thanks, Jon, and Happy New Year! I will indeed have a chapter in my book on growing cacao, but overall, the book is about chocolate in its various decadent states of indulgence. I hope you’ll enjoy it. Stay tuned! I am ready to sign up for your chocolate holiday tour here!!! Looks like a great place to visit and learn!! OK, Pat! Stay tuned! We’ll let you know when we organize a Chocolatour for the Worldly Women Travel Club. It would be great if you could join us. Cheers, and happy wkend! It sounds like you had an amazing trip Doreen. The resort that you stayed at looks amazing and choco-tinis sound pretty amazing too. Amazing is indeed a good description for all, Sherryl. Stay tuned for more about St. Lucia. I’ve love to hear what you liked best about St. Lucia as I know you’ve been there and highly recommended a visit. Cheers! The most fun that we had on St. Lucia was when we took a private tour by a locale who lived there. He was walking the beach at the all inclusive where we were staying and he convinced 8 of us to meet him in the morning. He had a small boat and took us along the coast. At one point, he stopped at another resort and picked up a wonderful picnic lunch. After touring by boat, he took us to a beach where we had our lunch. Then, we were led to a van where he had arranged for another locale to take us on a tour by foot. Imagine our surprise when a 3rd locale climbed into the van with a machete! It ended up that he climbed a tree and cut down coconuts. We had a wonderful day and made new friends. It turned out that the man who we hired was quite entrepreneurial and was providing a living for not only himself but the other people who he hired. It was a blast. 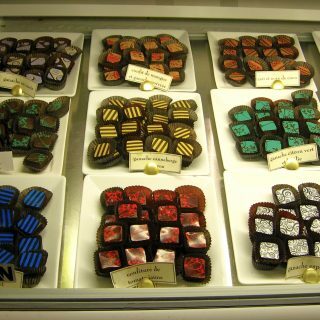 Chocolate spa and chocolate festivals. You really must have a hard life Doreen! :-) Sounds like a great trip. Happy New Year, Catarina, and thanks for your comment. 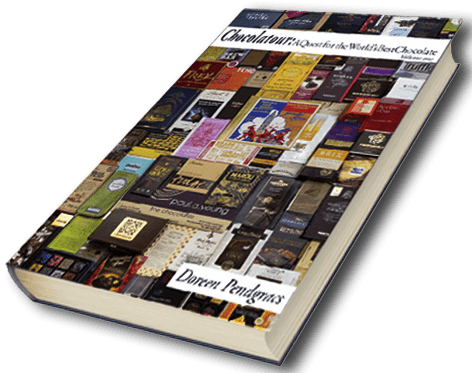 As my book is an experiential journey into the world of chocolate, it would be impossible for me to write about the many faces of chocolate without going to the various choco-centric regions, meeting the people, tasting the chocolate and becoming immersed in all that chocolate is and has to offer. That … is what will make Chocolatour different than any other book ever written about chocolate. It is not just reviews or facts about chocolate. It’s about how YOU, too, can travel the world or your region in search of the best chocolate experiences. Enjoy! I’ve never been to a chocolate festival, although my hometown started a huckleberry festival years ago… 😉 The first photo in your post is simply gorgeous. You take the idea of passion for something to a whole new level, which is very inspiring. Jeri: That is just about the most wonderful compliment I could ever receive! Thank you SO much. The whole idea behind Chocolatour is to share the passion that is so eminent among those immersed in the world of chocolate. I’m glad I am achieving that goal! 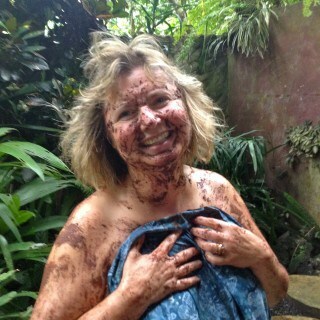 Chocolate spa!!!…. One can never desire of anything better than this!! The pictures are lovely. You have enjoyed your holidays to the core. You actually make me dive into the world of chocolate through your posts. Looking forward to more posts of yours. Happy New Year!!!! Thanks. Thanks so much for your comment, Aayna, and for your enthusiasm for the blog. I’m glad you’re enjoying the chocolate journeys with me. Surprisingly, there are an increasing number of spas around the world that offer chocolate treatments. Check them out in your region. You may be pleasantly surprised. Being in St. Lucia with you & experiencing all the sights and sounds (crickets 🙂 and tastes and people and spas and drinks and sunsets ….it was truly devine. The chocolate spas were the most memorable. Watching everyone’s face light up when the word chocolate is mentioned in conversation was delightful and no calories! Yes, it’s interesting when you mention the word “chocolate.” People’s eyes do indeed light up. I’m glad there is interest in the book. It’s been a long time coming. And yes, putting chocolate ON our bodies can be almost as good as putting it IN our bodies! Cheers! This just made my sweet tooth tingle. I’m definitely itching to give that choco-tini a try. Thank you for sharing your chocolate-y experience with all of us. What a delicious way to spend a vacation. This festival is off the books! I’m hoping to see something like that soon. You had me at the title. CHOCOLATE FESTIVAL. My mouth is literally watering over here. I just hope there’s something like that around where I live. Hi Veronica and thanks for your enthusiasm. There are chocolate festivals all over the world. My book, Chocolatour, will have a chapter listing them. Where do you live? Dream come true indeed! You’re so lucky you have the time to go to places like that. Holding down a day job can be quite exhausting. Stacey: Believe it or not, my chocolate travel journeys can be quite exhausting! As I’m not able to be in one place for too long, I’ve got to cram a lot into a short time. All for the sake of my readers. Stay tuned. There will be lots more info in the book. Interesting trip you had! Wakes the inner-chocolatier in me. Hopefully I’d be able to take a similar adventure. Start planning for it, Kristine. That’s why I’m writing Chocolatour. It will be ale to help chocolate-loving travellers plan trips centred around chocolate. Stay tuned, and subscribe to http://chocolatour.net if you don’t want to miss a beat! Oh this is just so great. Makes me feel giddy inside. I’m not really too big with sweets but chocolate is an exception. Right on, Emilia. Chocolate doesn’t have to be sweet. Most of the dark chocolate creations I eat are not sweet at all. They only have a small amount of cane sugar to counteract the bitterness of the pure chocolate. If you start eating chocolate that is 64% or more cocoa solids, you will develop a taste for intense chocolate that is not sweet, but yet is intensely satisfying. Peculiar fesitval if I do say so myself but it’s definitely enticiing. I’m not that big of a fan of sweets but this is just so delicious! You’ll learn that fine chocolate is not sweet at all. Begin with a brand like Lindt and try eating a dark bar in their Excellence series. I think you’ll be quite amazed. Indeed a treat for all chocolate lovers like myself. Winters and chocolates make a great combo. Thanks for the share. I’m all for the adventure but chocolates and sweets are just not my cup of tea or so to speak. I’m actually amazed how people could consume 2 to 3 bars at a time. Hi Sandra: My chocolate adventures, and the chocolate I am profiling in Chocolatour is of the high quality artisanal nature. You therefor only eat one piece at a time. It is not chocolate candy that people tend to gorge themselves on. That is mostly filled with sugar. Thanks for dropping by the blog. It’s just as much about travel as it is about chocolate. The perfect blend for tasty adventures! Doreen, what a delight to find you here and surrounded by so much chocolate! 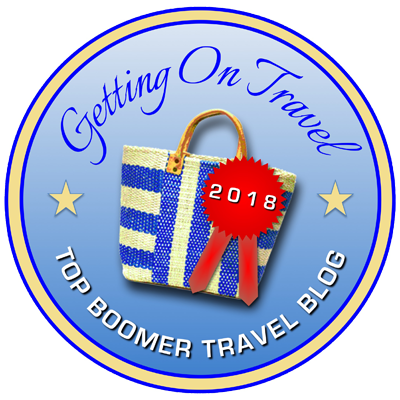 Thanks for stopping by GoGirlfriend to let me know about your wonderful blog. Thanks to you, I have to go hunt down some chocolate now…YUM! Always happy to help those chocolate cravings come to the surface, Julia! I hope you found some good stash. What a great idea for a book and a unique niche for a blog! I was in St. Lucia in the ’80’s and I don’t remember hearing anything about cocoa plantations or cocoa tea. Guess I missed that, or maybe the cocoa plantations were at a nadir then? There were mangoes everywhere and the main crop I remember is banana. I hope you include a recipe for the cocoa tea in your book. I searched for recipes online but none are quite like you describe, and I’ve never seen cocoa sticks for sale (why not? you see cinnamon sticks). Does cocoa powder make a good substitute? Hi Mary and thanks for your comment. I believe it’s your first visit to the blog. Welcome, and please come again. Regarding the growing of cacao on St. Lucia, it has been around for a long while, but was grown strictly for export. It’s only in recent years, that several estates are now growing cacao to be made into chocolate right on the island. The cocoa sticks are gaining popularity and available fairly broadly in the southern part of the island. If you were in the north (near Castries) you may not have seen it. And yes, you can substitute pure cocoa powder to make the cocoa tea, but it’s not quite the same. I am hoping to include a recipe for the tea in the book. Stay tuned! Yup, I was in the north. If you ever find a source available in the US for cocoa sticks, let me know! How about cocoa nibs? Are they closer? Hi Mary: Pacari of Ecuador sells its cocoa online at http://pacarichocolate.com. Their products are absolutely excellent. The cocoa nibs are like eating pure gold. Many artisanal chocolate makers who work with cocoa beans also sell cocoa nibs from their shops. Not sure where you’re located, but if you have no luck with the tips I’ve given, let me know. Ah, I can see that my question was very unclear. I can get cocoa nibs, I was just wondering if they would give a result closer to the original cocoa tea recipe using cocoa sticks than cocoa powder does. Thanks for all your good information! And I hope I see the Pitons sometime again in my life, they truly are spectacular. Hi Mary: Thx for the clarification of your query. No, to my knowledge you cannot get the St. Lucian cocoa sticks outside of St. Lucia. Just one more reason to go back there! That is likely to change over time, as the island is making an effort to boost its cacao production and ultimately, its stake in the chocolate industry, so exports are likely to increase over time. Oh, Susan. I can’t wait to get into some trouble with you later this year when I visit the Bay Area. I can see that you and I will be perfect chocolate and wine loving companions. 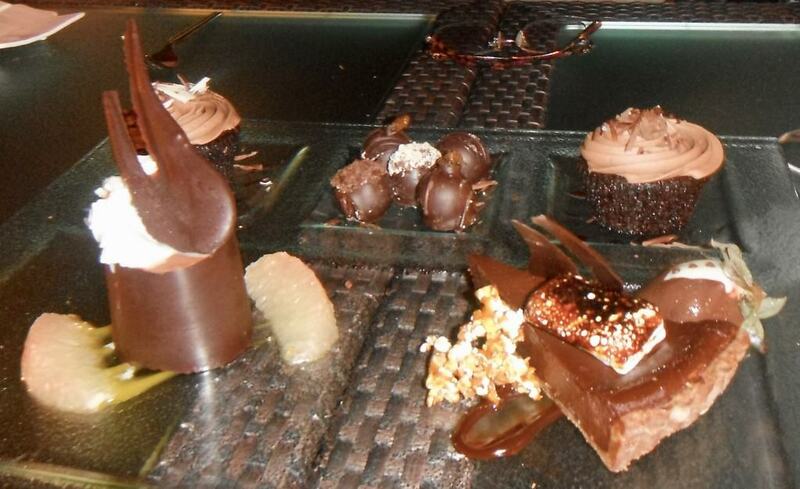 And yes, the Chocolate Festival at Jade Mountain was definitely something right out of a dream for me. 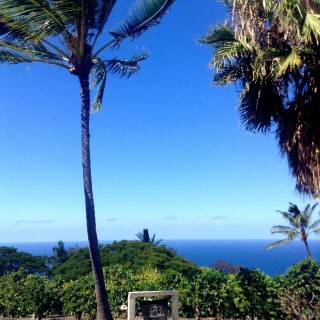 I hope you will get to visit this island someday soon. It is stunning, welcoming, and extremely tasty! Jade Mountain looks amazing and that Chocolatini looked pretty good too! 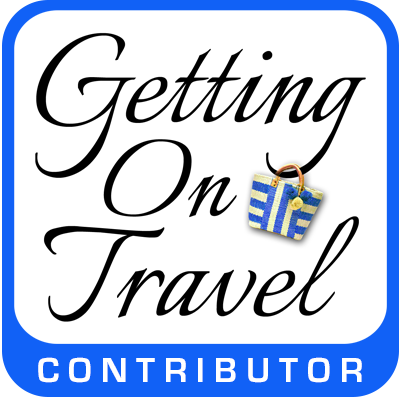 I just love how you have combined your passion, for chocolate, travel and writing! Thank you for sharing your passions! Thanks, Denise! Yes, Chocolatour is a melding of my passions for travel and adventure, passionate people, great culinary offerings, and the best chocolate on the planet. Glad to have you along for the ride! The beautiful Caribbean island of St Lucia is host to a wonderful chocolate festival this December 4th-6th. So put the mince pies to one side and indulge in some pre-Christmas, cocoa-fuelled extravagance at the Jade Mountain Estate Cocoa Festival . 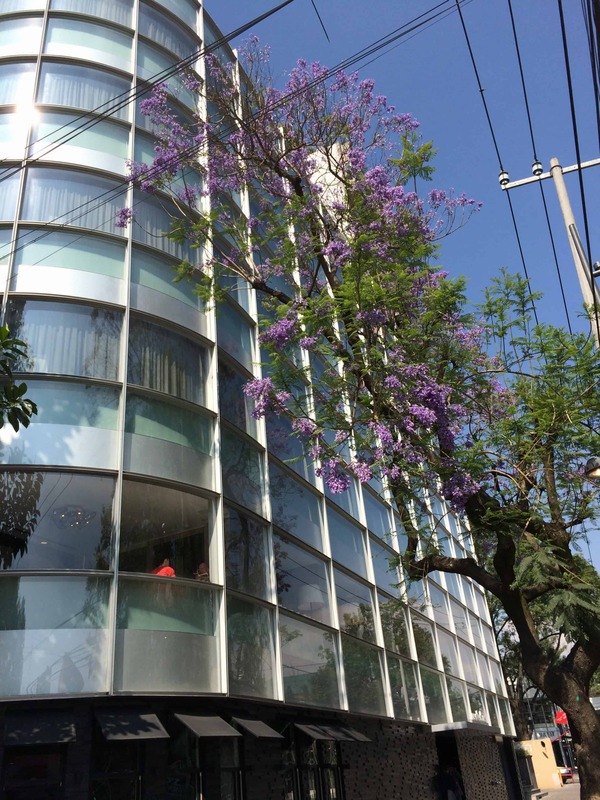 Pansy W. Rocha recently posted…No last blog posts to return. Thanks for your comment, Pansy. I’d love to go back to St. Lucia for the Chocolate Festival again this year. Such a magnificent place. I stayed at the wind jammer landing and it was amazing. No chocolate festival when I was there though when is it? 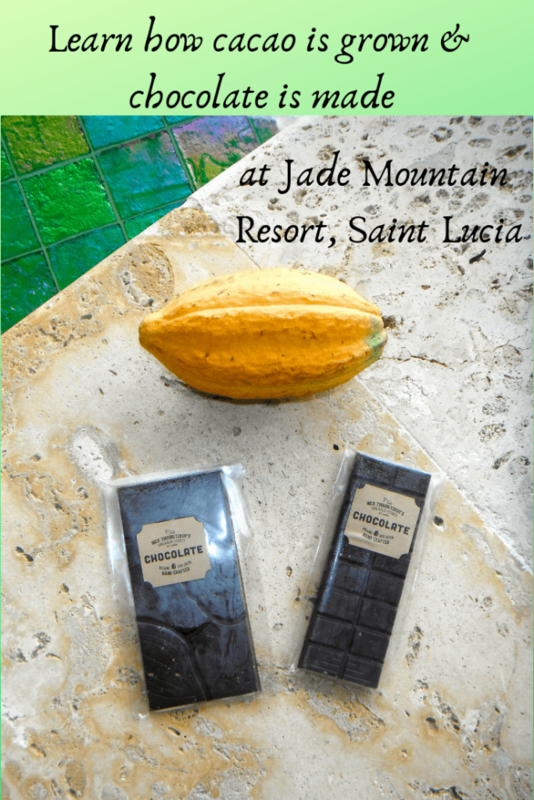 The Chocolate Festival at Jade Mountain will be held October 11-15, 2013. 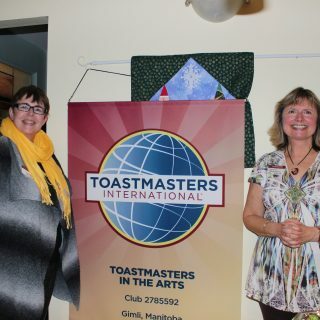 It was held in December last year, so who knows what 2014 will bring. Stay tuned! What a view! The food and chocolate offered at the resort looks irresistible.